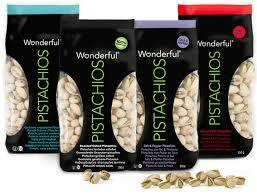 Click here to visit the Wonderful Pistachios site and watch their video. Then below it, enter the number of pistachios you think are in the video. That’s it! They’ll be choosing 100 winners a day (+ 3 big prize winners) for a grand total of 1,403 winners. Prizes range from beanies to earmuffs. Good luck!